Pierce each chicken wing in several places with the tip of a sharp knife. 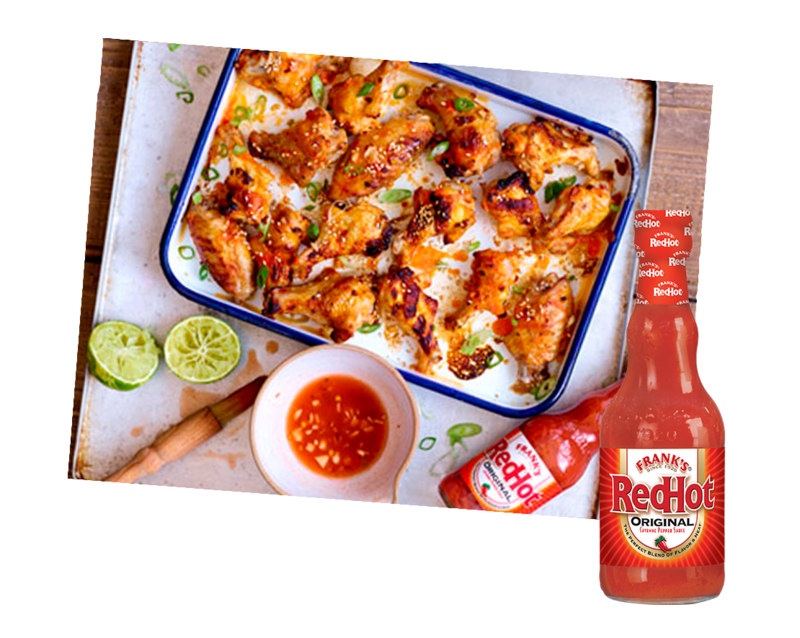 Combine the Frank's RedHot Original Cayenne Pepper Sauce, garlic, vinegar, lime, and honey in a large bowl, add the chicken wings and toss to coat. Marinate for 20 minutes at room temperature or cover and refrigerate for up to 12 hours (remember to bring to room temperature before cooking). Arrange the wings in a single layer on a foil lined tray, spooning over any excess marinade. Sprinkle with chilli flakes and roast on 210°C/190°C fan/gas mark 7 for 10 minutes, turn then roast for another 10 minutes. Sprinkle with seeds and spring onions before serving. Copyright © 2018, McCormick UK Ltd, All Rights Reserved.